In a growing row over the assassination of Kim Jong-nam, North Korea and Malaysia have banned each other’s citizens from leaving their countries. The extraordinary actions come amid North Korean fury at Malaysia’s ongoing investigation into Kim Jong-nam’s death at a Kuala Lumpur airport. He was killed with potent VX nerve agent. Malaysia has not directly blamed North Korea for the killing of the North Korean leader’s half-brother, but there is widespread suspicion Pyongyang was responsible. 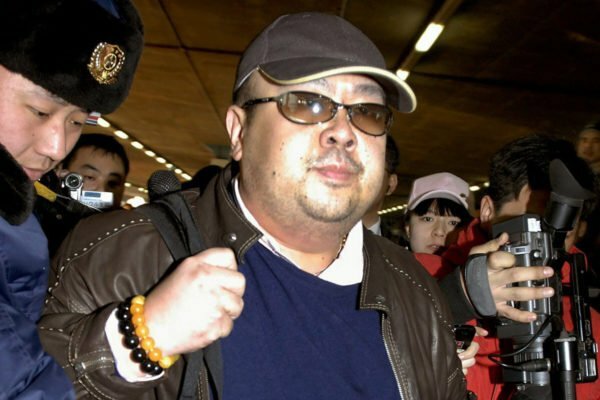 North Korea has fiercely denied any accusations of culpability and the row over the assassination – and who has the right to claim Kim Jong-nam’s body – has rapidly escalated over the past two weeks. Both Malaysia and North Korea have already expelled each other’s ambassadors. North Korea’s state news agency KCNA said on March 7 that “all Malaysian nationals in the DPRK [Democratic People’s Republic of Korea] will be temporarily prohibited from leaving the country until the incident that happened in Malaysia is properly solved”. It said this was to ensure the safety of it citizens and diplomats in Malaysia. Malaysians in North Korea country would be able to carry on their lives as normal, it added. Furiously, Malaysian PM Najib Razak said it was an “abhorrent act” which was “in total disregard of all international law and diplomatic norms”. Malaysians were effectively being held hostage in North Korea, the prime minister said in a statement. Initially, Deputy PM and Home Minister Ahmad Zahid Hamidi had said that in response, North Korean embassy staff and officials would not be allowed to leave. “We need to take similar steps as they have manipulated the murder,” he was quoted as saying. However, PM Najib Razak later said the ban would extend to all North Koreans. Malaysian officials have said there are believed to be 11 Malaysian citizens currently in North Korea, mostly diplomats. They also estimate there are about 1,000 North Koreans currently in Malaysia. Until last week, North Koreans did not need a visa to enter Malaysia. Such actions are highly unusual. Under Article 13 of the UN Declaration of Human Rights, “everyone has the right to leave any country, including his own, and to return to his country”. Malaysia has signed that declaration, but North Korea has not. The ban also breaks the Vienna Convention on Diplomatic Relations, which both countries have ratified. A post-mortem examination on Kim Jong-nam’s body found he was killed by a dose of VX nerve agent, a substance classified as a weapon of mass destruction, as he waited to board a flight to Macau on February 13. So far, only two people – an Indonesian woman and a Vietnamese woman – have been charged with murder. They have said they thought they were taking part in a TV prank. A detained North Korean was released last week because of lack of evidence, but Malaysia is seeking a number of other North Koreans, including a diplomat. On March 7, Malaysia’s police chief Khalid Abu Bakar said he believed two of those suspects were hiding inside the North Korean embassy compound in Kuala Lumpur. “We will wait and if it takes five years we will wait outside, definitely somebody will come out,” he told reporters. Armed police have been deployed outside the North Korean embassy, cordoning it off, Malaysian media reported.